The study I present you today, Long-term orbital and rotational motions of Ceres and Vesta, by T. Vaillant, J. Laskar, N. Rambaux, and M. Gastineau, wonders how permanent the observed rotational state is. This French study has recently been accepted for publication by Astronomy & Astrophysics. I already told you about these two bodies. (1)Ceres (“(1)” because it was the first asteroid to be discovered) is known since January 1801. It has been discovered by the Italian astronomer Giuseppe Piazzi at Palermo Astronomical Observatory. The spacecraft Dawn orbits it since April 2015, but is now inoperative since November 1st, 2018. We see Ceres as a body with a rocky core and an icy mantle, possibly with an internal ocean. Before visiting Ceres, Dawn orbited Vesta, between July 2011 and September 2012. (4)Vesta has been discovered 6 years after Ceres, in 1807, by the German astronomer Heinrich Olbers. This is a differentiated body, probably made of a metallic core, a rocky mantle, and a crust. It has been heavily bombarded, showing in particular two large craters, Rheasilvia and Veneneia. Vesta is the source of the HED (Howardite Eucrite Diogenite) meteorites, which study is an invaluable source of information on Vesta (see here). You can find below some numbers regarding Ceres and Vesta. As you can see, Vesta is the closest one. It is also the most elongated of these bodies, i.e. you definitely cannot consider it as spherical. Both have significant orbital eccentricities, which means significant variations of the distance to the Sun (this will be important, wait a little). You can also see that these are fast rotators, i.e. they spin in a few hours, while their revolution periods around the Sun are of the order of 4 years. By the way, Vesta rotates twice faster than Ceres. Such numbers are pretty classical for asteroids. You can also notice that Vesta is denser than Ceres, which is consistent with a metallic core. Finally, the obliquities. The obliquity is the angle between the angular momentum (somehow the rotation axis… this is not exactly the same, but not too far) and the normal to the Sun. In other words, a null obliquity means that the body rotates along its orbit. An obliquity of 90° means that the body rolls on its orbit. An obliquity of 180° means that the body rotates along its orbit… but its rotation is retrograde (while it is prograde with a null obliquity). Here, you can see that the obliquity of Ceres is close to 0, while the one of Vesta is 27°, which is significant. It is actually close to the obliquity of the Earth, this induces yearly variations of the insolation, and the seasons. On bodies like Ceres and Vesta, the obliquity would affect the survival of ice in deep craters, i.e. if the obliquity and the size of the crater prevents the Sun to illuminate it, then it would survive as ice. From these data, the authors simulated the rotational motion of Ceres and Vesta. Simulating the rotation consists in predicting the time variations of the angles, which represent the rotational state of the bodies. For that, you must start from the initial conditions (what is the current rotational state? ), and the physical equations, which rule the rotational motion. For rigid bodies, rotation is essentially ruled by gravity. The gravitational perturbation of the Sun (mostly) and the planets affects the rotation. You quantify this perturbation with the masses of the perturbers, and the distances between your bodies (Ceres and Vesta), and these perturbers. To make things simple, just take Ceres and the Sun. You know the Solar perturbation on Ceres from the mass of the Sun, and the orbit of Ceres around it. This is where the eccentricity intervenes. Once you have the perturbation, you also need to determine the response of Ceres, and you have it from its shape. Since Vesta is more triaxial than Ceres, then its sensitivity to a gravitational should be stronger. It mostly is, but you may have some resonances (see later), which would enhance the rotational response. The question of the rotational stability is: you know, the numbers I gave you on the rotation… how much would they vary over the ages? This is an interesting question, if you want to know the variations of temperature on the surface. Would the ice survive? Would the surface melt? Would that create an atmosphere? For how long? Etc. For instance, the same team showed that the obliquity of the Earth is very stable, and we owe it to our Moon, which stabilized the rotation axis of the Earth. This is probably a condition for the habitability of a telluric planet. Let us go back to Ceres and Vesta. The authors focused on the obliquity, not on the spin period. In fact, they considered that the body rotated so fast, that the spin period would not have any significant effect. This permitted them to average the equations over the spin period, and resulted in a rotational dynamics, which moves much slower. And this allows to simulate it over a much longer time span. A numerical integration of the equations of the rotational motion, even averaged over the fast angle (I mean, the rotation period), may suffer from numerical problems over time. If you propagate the dynamics over millions of years, then the resulting dynamics may diverge significantly from the real one, because of an accumulation of numerical errors all along the process of propagation. For that, use symplectic integrators. These are numerical schemes, which preserve the global energy of the dynamics, if you have no dissipation of course. But there are many problems of planetary dynamics, which permit you to neglect the dissipation. When you can neglect the dissipation, your system is conservative. In that case, you can use the mathematical properties of the Hamiltonian systems, which preserve the total energy. That way, your solution does not diverge. But how to determine whether your dynamics is stable or not? There are many tools for that (Lyapunov exponents, alignment indexes…) Here, the authors determined the diffusion of the fundamental frequencies of the system. The diffusion of the fundamental frequencies is one indicator of the stability. The authors also checked the variations of the obliquity of Ceres and Vesta, along their trajectories. They simulated the motion over 40 Myr (million years), in considering different possible numbers for the interior, and different initial obliquities. Let us see now the results. If you consider different possibilities, i.e. we do not know how these bodies were 40 Myr ago, then we see that it is theoretically possible for them to have been highly influenced by a resonance. This means that one fundamental frequency of the rotation would have been commensurable with periodic contributions of the orbital motion, and this would have resulted in a high response of the obliquity. For the present trajectories, the author estimate that the obliquity of Ceres could have varied between 2 and 20° these last 20 Myr, and the obliquity of Vesta between 21 and 45°. To be honest, this is only a part of a huge study, which also investigates the stability of the orbital motions of Ceres and Vesta. Actually, these bodies are on chaotic orbits. This does not mean that they will be ejected one day, but that their orbits becomes uncertain, or inaccurate, after some tens of Myr. and the IAU page of Mickaël Gastineau. Hi there! When you look at our Solar System, you wonder how it came to be that way. I mean, it formed from a nebula, in which grain accreted to create the Sun, the planets,… and all these small bodies. Most of them have disappeared since the origin, they were either ejected, or accreted on a planet, or on the Sun… anyway still many of them remain. You have the Asteroid Main Belt, the Centaurs, the Kuiper Belt, the Oort cloud, the comets… Several studies have tried to determine connections between them, i.e. where does this comet come from? Was it originally a Centaur, a Kuiper Belt Object, something else? And how did it change its orbit? A close approach with a giant planet, maybe? And to address this question, you simulate the trajectories… which is not straightforward to do. It is pretty classical to simulate a trajectory from given initial conditions, but to answer such a question, you need more. You need more because you do not know how reliable are your initial conditions. Your comet was there that day… very well. How sure are you of that? You observe a position and a velocity, fine, but you have uncertainties on your measurements, don’t you? But they are not! This is what we call sensitivity to the initial conditions. This often means chaos, but I do not want to detail this specific notion. But basically, when a comet swings by a giant planet, its trajectory is dramatically deviated. And the deviation is highly sensitive to the location of the comet. So sensitive that at some point, you lose the information given by your initial conditions. C’est la vie. As a result, there are in the literature many studies presenting their simulations, and which conclusions are sometimes inconsistent with each other. The study we discuss today, It’s Complicated: A Big Data Approach to Exploring Planetesimal Evolution in the Presence of Jovian Planets, by Kevin R. Grazier, Julie C. Castillo-Rogez, and Jonathan Horner, suggests another approach to clear up this mess. It considers that all of these possible trajectories constitute a reservoir of Big Data. This study has recently been published in The Astronomical Journal. the scattered disc, which extends to 150 AU from the Sun. These objects are highly inclined. Eris is the largest known of them. the hypothetical Oort cloud, which could be as far as one light-year, or 50,000 AU. Of course, this list is not exhaustive. For instance, I did not mention the comets, which could originate from any of those populations of small objects. In this study, the authors limit themselves to the orbit of Neptune. They consider 3 populations of objects between the orbits of Jupiter and Saturn, between Saturn and Uranus, and between Uranus and Neptune. And the question is: how do these populations evolve, to the current state? For that, planetary encounters appear to be of crucial importance. Imagine a small body flying by Jupiter. It approaches Jupiter so closely that it enters its sphere of influence, in which the gravity of Jupter dominates the one of the Sun. Virtually, the object orbits Jupiter, but usually this orbit cannot be stable, since the approach is too fast. Locally, its orbit around Jupiter is hyperbolic, and the object does not stay there. Jupiter ejects it, and you do not know where, because the direction of the ejection is highly sensitive to the velocity of the object during its approach. It also depends on the mass of Jupiter, but this mass is very well known. Sometimes, the action of Jupiter is so strong that it fragments the object, as it did for the comet Shoemaker-Levy 9, in July 1994. And you can have this kind of phenomenon for any of the giant planets of the Solar System. This is how planetary encounters could move, disperse, eject,… entire populations in the Solar System. With so many objects (the authors considered 3 ensembles of 10,000 test particles, the ensembles being the 3 zones between two consecutive giant planets) and so many potential planetary encounters (the trajectories were simulated over 100 Myr), you generate a database of planetary encounters… how to deal with that? This is where the Big Data approach enters the game. The authors performed it into two stages. The first one consisted to determine close encounter statistics and correlations, for instance with changes of semimajor axis, i.e. how a planetary encounter displaces an object in the Solar System. And the second stage aimed at reconstituting the path of the particles. It appears that the particles could easily move from one belt to another. Eventually, they can be ejected. As the authors say, the classification of a particle into a population or another is ephemeral. It depends on when you observe it. In other words, a small object you observe in the Solar System could have been formed almost anywhere else. Even in situ. Now let us talk about specific examples. For instance, Ceres. You know, this is the largest of the Main Belt Asteroids, and the first to have been discovered, in 1801. It has recently been the target of the mission Dawn, which completed in October 2018. Ceres is rich in volatiles like ammonia and carbon dioxides, as are other asteroids like Hygeia. Hygeia is itself a large Main Belt Asteroid. Knowing the origin of Ceres could give you the origin of these volatiles… but they could have been partly accreted after the migration… You see, it is difficult to be 100% sure. 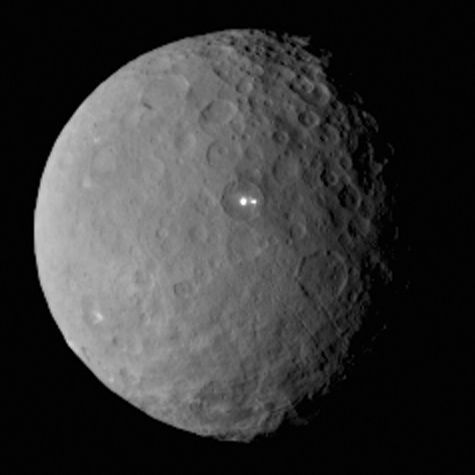 Ceres could have formed in situ, i.e. between Mars and Jupiter, but this study shows that it could have originated from much further in the Solar System, and migrated inward. Most of the main satellites of the giant planets are thought to have been formed with the planet, in the protoplanetary nebula. But in some cases, you have satellites, which orbit far from the parent planet, on an irregular orbit, i.e. a significantly inclined and eccentric one. In such a case, the body has probably not been formed in situ, but has been trapped by the planet. Among them are Saturn’s Phoebe and Neptune’s Triton, which are large satellite. 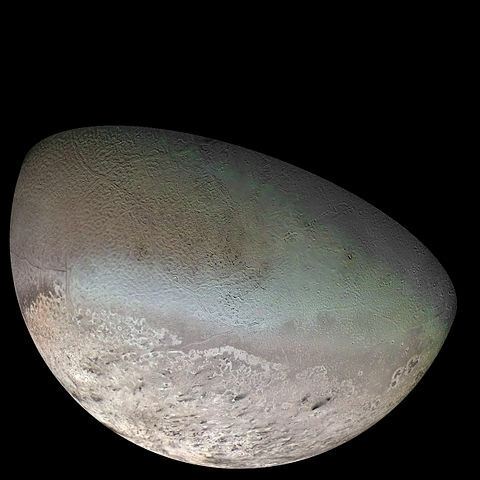 I have discussed the case of Triton here. The trapping of Triton probably ejected mid-sized satellites of Neptune, which are now lost. Phoebe and Triton entered the sphere of influence of their parent planet, but did not leave it. And where did they come from? It seems probable that Triton was a Trans-Neptunian Object (TNO) before. In that part of the Solar System, the velocities are pretty low, which facilitate the captures. However, several scenarios are possible for Phoebe. The study show that it could have originated from an inner or from an outer orbit, and have jumped to Saturn from close encounters with Jupiter / Uranus / Neptune. Something frustrating with such a study, which goes back to the origins, is that you lose some information. As a consequence, you can only conclude by “it is possible that”, but you cannot be certain. You have to admit it. A way to secure some probabilities is to cross the dynamics with the physical properties, i.e. if you see that element on that body, and if that element is thought to have formed there, then you can infer something on the body, and the authors discuss these possibilities as well. But once more, you cannot be 100% sure. How do you know that this element has been formed there? Well, from the dynamics… which is chaotic… And when you see an element at the surface of a planetary body, does it mean that it is rich in it, or just coated by it, which means it could have accreted after the migration? and the website of Jonathan Horner. Hi there! Today: Ceres. (1) Ceres is the largest object of the main asteroid belt, so large that the International Astronomical Union (IAU) classified it as a dwarf planet in 2006. 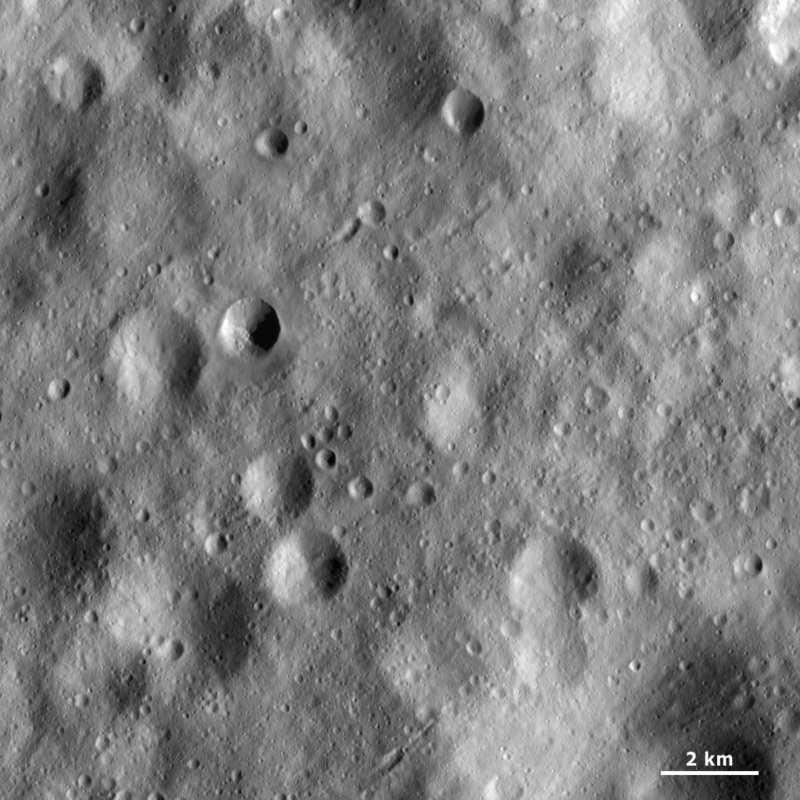 As many planetary bodies, it is craterized, the largest crater being named Kerwan. This crater has a diameter of 280 km. But this is not the most remarkable one. The crater Occator, which diameter almost reaches 100 km, is particularly interesting since it exhibits bright spots, which are probably the signature of past hydrothermal activity. This raises the interest of the scientific community, since it could reveal a geophysical activity and water below the surface. The study I present, The various ages of Occator crater, Ceres: Results of a comprehensive synthesis approach, by A. Neesemann et al., tries to be as accurate as possible on the age of Occator, in summarizing the previous studies and in using as many data as possible. These are actually data provided by the spacecraft Dawn. This paper will be published in Icarus soon. The quest for an object between the orbits of Mars and Jupiter was initially motivated by the Titius-Bode law. This empirical law, which is now proven to be absolutely wrong, noticed a arithmetic progression between the orbital radii of the known planets, and was confirmed by the discovery of Uranus in 1781 (however, it is inconsistent with the presence of Neptune). Anyway, this convinced former astronomers that something was there, and it revealed to be true. A group led by Franz Xaver von Zach looked for an object with a semimajor axis close to 2.8 AU (astronomical units, remember that 1 AU is 150 million kilometers, which is the orbital radius of our Earth). But that group did not discover Ceres. 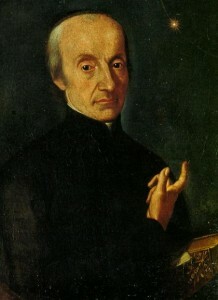 Ceres has been serendipitously discovered in 1801 by the Italian astronomer Giuseppe Piazzi in Palermo, Sicilia. He wanted to observe the star HR 1110, but saw a slowly moving object instead. He noticed that it looked somehow like a comet, but that it was probably better than that. Ceres was found! Later, the group led by von Zach discovered many asteroids. One of them, Heinrich Olbers, is credited for the discoveries of Pallas, Vesta, and the periodic comet 13P/Olbers. He also gave his name to the Olbers paradox, which wonders why the night is so dark while we are surrounded by so many stars. You can find below some of the orbital and physical properties of Ceres. These orbital elements and its size make it the largest object of the main asteroid belt. You can see a small eccentricity, and a pretty fast rotation period with respect to its orbital one (i.e., the revolution). Moreover, its equatorial section is pretty circular, i.e. if you look at its 3 diameters, the two largest ones of them are very close, and in fact the uncertainties on the measurements are even consistent with a strict equality. However, the polar diameter is much smaller. This is a consequence of its rotation, which flattens the body. You can also notice a density, which is between the one of the water (1) and the one of silicates (3.3). This means that its composition should be a mixture of both, i.e. silicates and water ice. The physical properties and the image above are due to the spacecraft Dawn. This mission is close to its end. The spacecraft Dawn has been launched from Cape Canaveral, Florida, in September 2007, and reached the asteroid Vesta in 2011. After a little more than one year in orbit around Vesta, it left it and has been trapped by the gravity field of Ceres in March 2015. This mission will be completed soon. and the Framing Camera (FC). Dawn is essentially an American mission, even if Germany provided the Framing Camera. The German study we discuss today uses FC data. The orbital journey of Dawn around Ceres consists of several phases, which are different orbits. This results in variable resolutions of the images. The prime mission considered two mapping orbits, the HAMO (High Altitude Mapping Orbit) and the LAMO (for Low Altitude), at distances of 1,470 and 375 km of the surface, respectively. Since then, the mission has been extended, and the spacecraft is now at only 50 kilometers of the surface. High resolution expected. This mapping orbits permitted to map comprehensively the surface of Ceres. Unsurprisingly, that survey revealed many craters. We are today interested in Occator, which is not the largest one, but contains bright spots, possibly signatures of a recent hydrothermal activity. 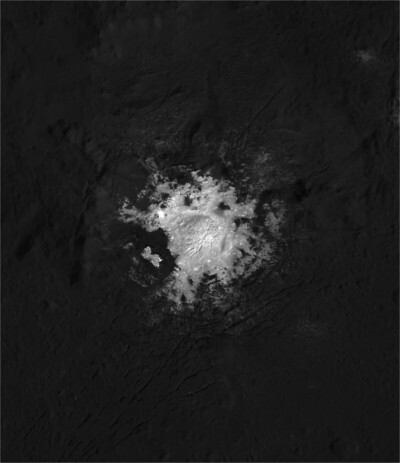 Occator crater is located in the northern hemisphere of Ceres. Its diameter is some 90 km, which does not make it the largest one, but it is particularly interesting for the bright spots it shows. To be honest, there are bright spots at other locations of Ceres, but anyway Occator is remarkable for that. The spot in the center is a dome called Cerealia Facula, while the small spots are called the Vinalia Faculae. You can see them below, on these high-resolution images due to the extended mission. or the heat from the impact could have enhanced activity related to pre-existing liquid reservoirs just below the surface. Anyway, this reveals water! 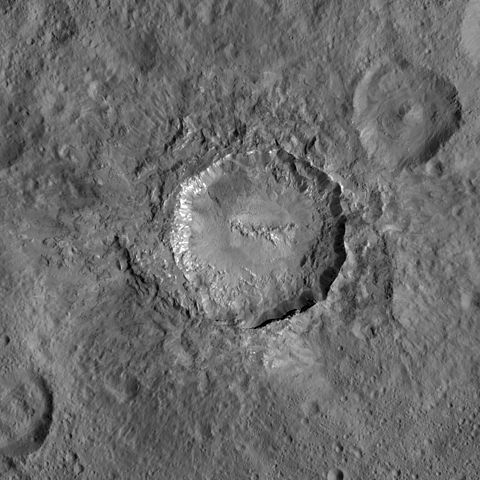 And this makes Ceres and its crater Occator fascinating. This study wants to estimate the age of Occator, or in other words, date the impact that created it. For that, you examine its current state, and guess how long it took from the impact to the observed state. Because of the elasticity of the surface, after some time (hundreds of millions years, maybe a little more…) the surface relaxes. The consequence is that the crater gets less deep, and its slopes get gentler. A 3-D terrain model will give you the numbers. But the dynamics of the relaxation process is barely constrained. But how to constrain this? You calibrate your models with better known bodies, like the Moon, and / or dynamical models of the bombardments. Previous studies have used Lunar Derived Models and Asteroid-flux Models… of course with different outcomes. In the specific case of Occator, the hydrothermal activity revealed by the bright spots has generated ejecta blankets, as lobate deposits. Nathues et al. 2018, stated that the dispersed bright deposits Vinalia Faculae were younger than 2 Ma, in using low-altitude high-resolution images. The study we now discuss uses almost all of the data, and so should be more accurate. It is interesting that a study points out all of the possible numbers, given the models, the data, and the physical process considered (crater counting, age of ejecta,…). In particular, if the hydrothermal activity has been triggered by the impact which created Occator, then dating the ejecta should tell us something accurate. The authors find an age of 21.9 &pm; 0.7 Ma for the crater in using the Lunar Derived Model, and between 1 and 64 Ma in using the Asteroid-flux Derived Model. You see, lots of uncertainties… as they say, the model ages are a matter of perspective. But anyway, this is a very young and interesting crater! You can find the study here. And now, the authors! and the one of Christopher Russell. Hi there! The space mission Dawn has recently visited the small planets Ceres and Vesta, and the use of its different instruments permits to characterize their composition and constrain their formation. Today we focus on the crater Haulani on Ceres, which proves to be pretty young. This is the opportunity for me to present you Mineralogy and temperature of crater Haulani on Ceres by Federico Tosi et al. This paper has recently been published in Meteoritics and Planetary Science. Ceres is the largest asteroid of the Solar System, and the smallest dwarf planet. A dwarf planet is a planetary body that is large enough, to have been shaped by the hydrostatic equilibrium. In other words, this is a rocky body which is kind of spherical. You can anyway expect some polar flattening, due to its rotation. However, many asteroids look pretty much like potatoes. But a dwarf planet should also be small enough to not clear its vicinity. This means that if a small body orbits not too far from Ceres, it should anyway not be ejected. Ceres, or (1)Ceres, has been discovered in 1801 by the Italian astronomer Giuseppe Piazzi, and is visited by the spacecraft Dawn since March 2015. The composition of Ceres is close to the one of C-Type (carbonaceous) asteroids, but with hydrated material as well. This reveals the presence of water ice, and maybe a subsurface ocean. You can find below its main characteristics. The orbital motion is very well known thanks to Earth-based astrometric observations. However, we know the physical characteristics with such accuracy thanks to Dawn. We can see in particular that the equatorial section is pretty circular, and that the density is 2.161 g/cm3, which we should compare to 1 for the water and to 3.3 for dry silicates. This another proof that Ceres is hydrated. For comparison, the other target of Dawn, i.e. 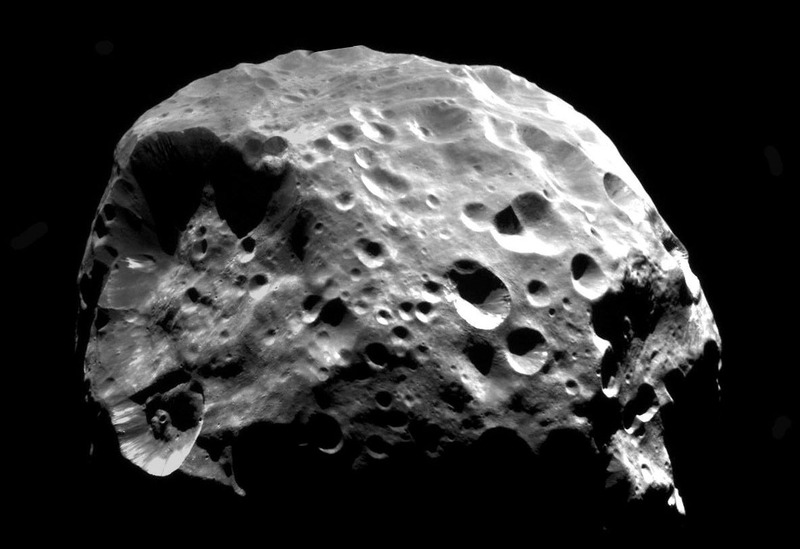 Vesta, has a mean density of 3.4 g/cm3. It appears that Ceres is highly craterized, as shown on the following map. Today, we focus on Haulani. The 5 largest craters found on Ceres are named Kerwan, Yalode, Urvara, Duginavi, and Vinotonus. Their diameters range from 280 to 140 km, and you can find them pretty easily on the map above. However, our crater of interest, Haulani, is only 34 km wide. You can find it at 5.8°N, 10.77°E, or on the image below. The reason why it is interesting is that it is supposed to be one of the youngest, i.e. the impact creating it occurred less than 6 Myr ago. This can give clues on the response of the material to the impact, and hence on the composition of the subsurface. Nothing would have been possible without Dawn. Let us talk about it! The NASA mission Dawn has been launched from Cape Canaveral in September 2007. Since then, it made a fly-by of Mars in February 2009, it orbited the minor planet (4)Vesta between July 2011 and September 2012, and orbits Ceres since March 2015.
and is in the XMO4 phase since April 24, 2017, with a much higher altitude, i.e. between 13,830 and 52,800 km. The XMOs phases are extensions of the nominal mission. Dawn is now on a stable orbit, to avoid contamination of Ceres even after the completion of the mission. The mission will end when Dawn will run out of fuel, which should happen this year. 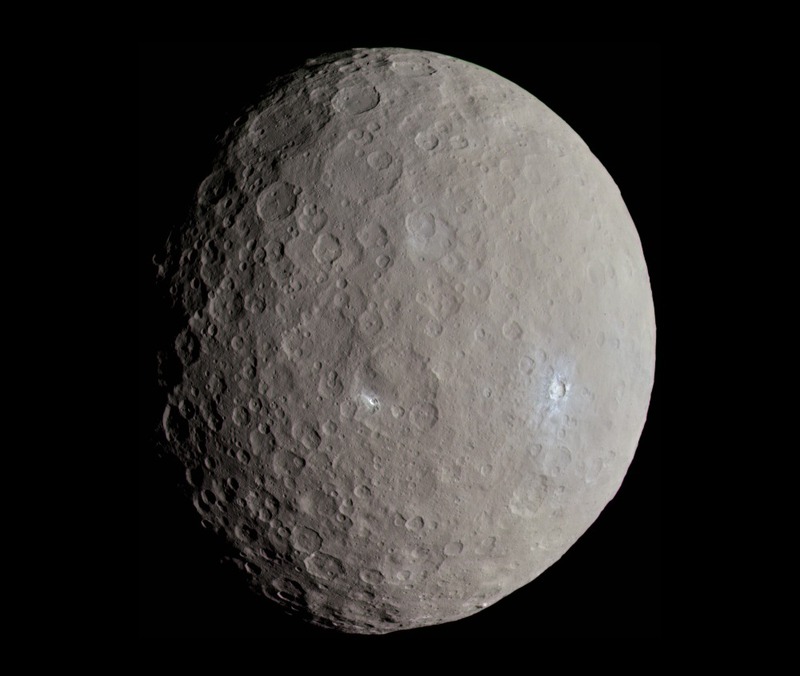 The interest of having these different phases is to observe Ceres at different resolutions. The HAMO phase is suitable for a global view of the region of Haulani, however the LAMO phase is more appropriate for the study of specific structures. Before looking into the data, let us review the indicators used by the team to understand the composition of Haulani. Color maps are used for instance to determine the geometry of the crater, and the location of the ejecta, i.e. excavated material. The reflectance is the effectiveness of the material to reflect radiant energy. The spectral slope is a linear interpolation of a spectral profile by two given wavelengths, and band centers and band depths are characteristics of the spectrum of material, which are compared to the ones obtained in lab experiments. With all this, you can infer the composition of the material. This requires a proper treatment of the data, since the observations are affected by the geometry of the observation and of the insolation, which is known as the phase effect. The light reflection will depend on where is the Sun, and from where you observe the surface (the phase). The treatment requires to model the light reflection with respect to the phase. The authors use the popular Hapke’s law. This is an empirical model, developed by Bruce Hapke for the regolith of atmosphereless bodies. The authors used data from two Dawn instruments: the Visible and InfraRed spectrometer (VIR), and the Framing Camera (FC). VIR makes the spectral analysis in the range 0.5 µm to 5 µm (remember: the visible spectrum is between 0.39 and 0.71 μm, higher wavelengths are in the infrared spectrum), and FC makes the topographical maps. The combination of these two datasets allows to correlate the values given by the indicators given above, from the spectrum, with the surface features. And here are the conclusions: yes, Haulani is a young crater. 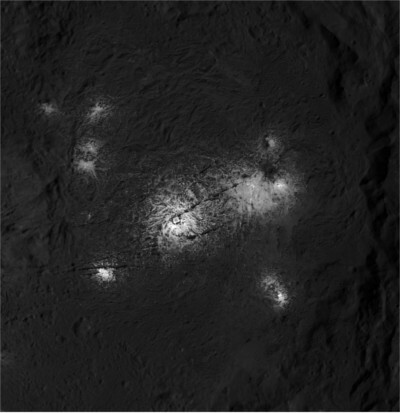 One of the clues is that the thermal signature shows a locally slower response to the instantaneous variations of the insolation, with respect to other regions of Ceres. This shows that the material is pretty bright, i.e. it has been less polluted and so has been excavated recently. 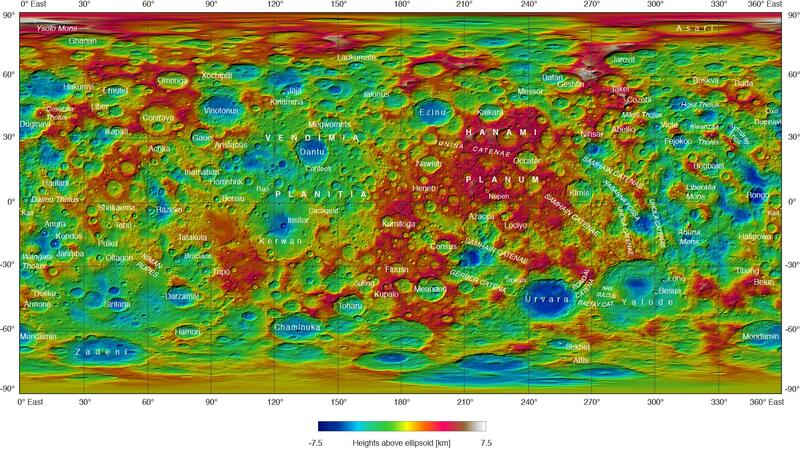 Moreover, the spectral slopes are bluish, this should be understood as a jargony just meaning that on a global map of Ceres, which is colored according to the spectral reflectance, Haulani appears pretty blue. Thus is due to spectral slopes that are more negative than anywhere else on Ceres, and once more this reveals bright material. Moreover, the bright material reveals hydrothermal processes, which are consequences of the heating due to the impact. For them to be recent, the impact must be recent. Morever, this region appears to be calcium-rich instead of magnesium-rich like anywhere else, which reveals a recent heating. The paper gives many more details and explanations. I would like to conclude this post by pointing out the miracle of such a study. We know the composition of the surface without actually touching it! This is possible thanks to lab experiments. In a lab, you know which material you work on, and you record its spectral properties. And after that, you compare with the spectrum you observe in space. And this is not an easy task, because you need to make a proper treatment of the observations, and once you have done it you see that the match is not perfect. This requires you to find a best fit, in which you adjust the relative abundances of the elements and the photometric properties of the material, you have to consider the uncertainties of the observations… well, definitely not an easy task. You can find the study here. Mineralogy and temperature of crater Haulani on Ceres, by F. Tosi et al., Meteoritics and Planetary Science. and the one of Christopher T. Russell.